The Tiffen 4.5" Mounted UltraPol Circular Polarizer Filter helps to reduce reflections and glare by filtering out light that has become polarized due to reflection from a non-metallic surface. The light from the sun naturally becomes partially polarized due to reflecting off electrons in air molecules, causing the light to scatter into what appears as haze. A polarizing filter arranges, and filters, this directionally polarized light perpendicularly to the reflected light, allowing for the absorption of much of this light. This results in a noticeable reduction of glare and reflections from non-metallic surfaces and an increase in the saturation of skies and foliage. This filter is non-coated, has approximately 40% average light transmission, and is designed to provide a polarization effect that is 15 to 20% greater than other Tiffen filters which only provide a linear or circular polarization effect and are not UltraPol filters. 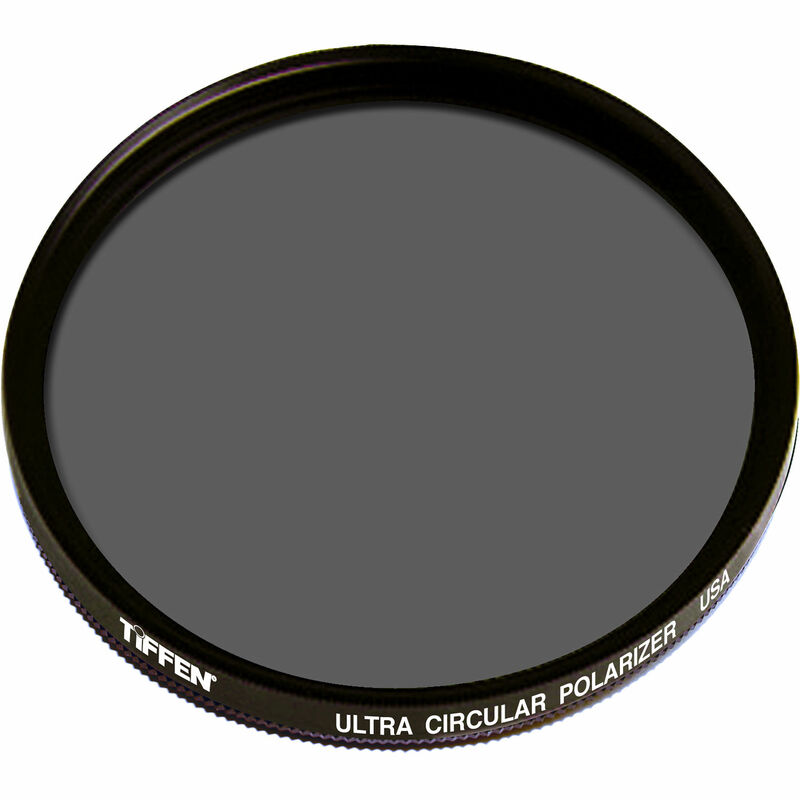 Constructed from optical glass for clarity as well as color fidelity, the Tiffen 4.5" Mounted UltraPol Circular Polarizer Filter is mounted for use in third-party or custom filter holders. No front or rear threads are included on this filter's ring, or mount. Mounted without front or rear threads for use in third-party or custom filter holders for film and television cameras. Offers a 15 to 20% greater polarization effect than other Tiffen filters which only provide a linear or circular polarization effect and are not UltraPol filters. 4x filter factor reduces exposure by 2 stops.